A 1-year-old girl was found safe after authorities said her father abducted her in the Inland Empire. RANCHO CUCAMONGA, Calif. -- A 1-year-old girl was found safe in Montclair after authorities said she was abducted by her father in Rancho Cucamonga, prompting an AMBER Alert, authorities announced Tuesday morning. The toddler, Lexi Segura, was taken by 38-year-old Pomona resident Daniel Segura about 5:40 p.m. Monday, according to the San Bernardino County Sheriff's Department. Daniel Segura and the child were spotted in Montclair at about 9:20 a.m. in a gray Chevrolet Malibu. Authorities said Daniel Segura was taken into custody without incident and Lexi Segura was safe. The child was being reunited with her mother. Daniel Segura had threatened to commit "suicide by cop," investigators said. He and his estranged wife, who is Lexi's mother, were at a home in Rancho Cucamonga when they got into an argument. Daniel Segura then allegedly pulled out a gun and kidnapped the young girl. An abandoned red 2012 Mitsubishi Galant, believed to have been used in the abduction, was discovered overnight in Pomona as the search for the child and the suspect continued. Due to the vehicle being recovered, authorities rescinded the official Amber Alert but had emphasized that their investigation was no less urgent. 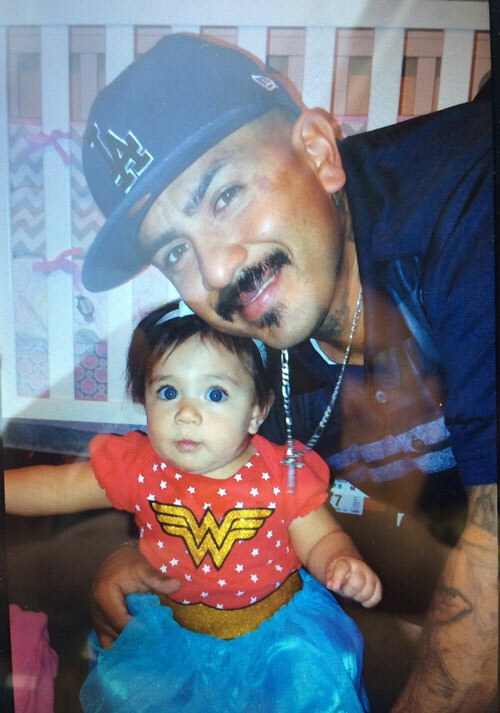 Daniel Segura, 38, is shown with his daughter Lexi Segura, 1, in an undated photo.